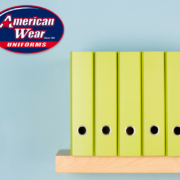 Winter is finally almost over and it’s about time to start sorting through your work areas and piles of disorganized files and clutter that have likely amassed throughout your office. During the winter, especially if it’s been particularly cold and dark, people tend to get a bit lazy with their small organizational chores and burrow themselves at their desks. If you’re like most people, the change has been gradual and subtle and you probably don’t even notice it unless you really look and realize you’re suddenly surrounded by piles of junk. 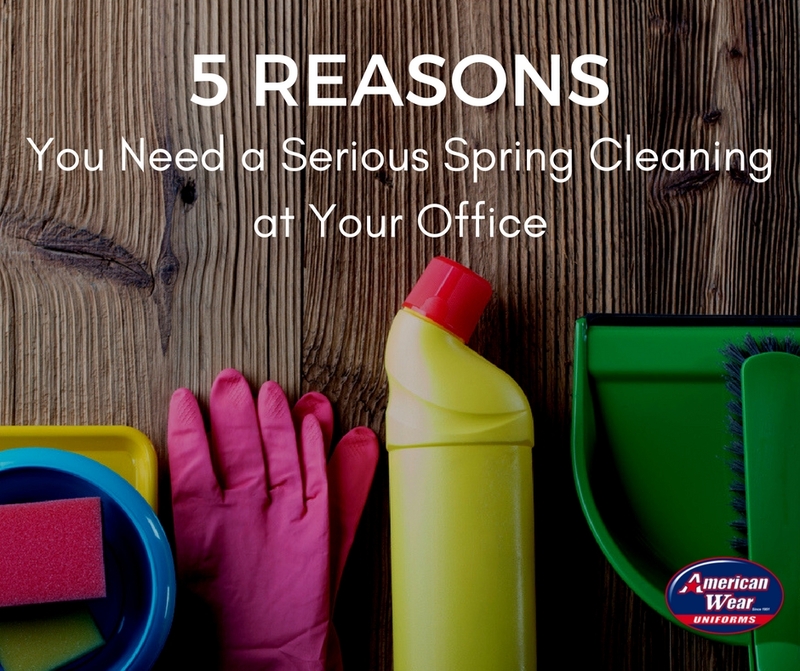 The beginning of Spring is the perfect time to get your workspace cleaned and organized. 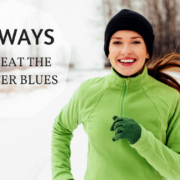 Here are some of the biggest reasons to get on it right away. This should be obvious, but you need to keep your office clean and organized to appear professional. If you ever host clients and they see your place is a mess, you will appear unreliable and untrustworthy. You need to protect your image first and foremost. Once you really commit to keeping your office clean and organized, you’ll find it increases everyone’s productivity. Don’t lose time searching for a missing item. Letting all kinds of junk build up around your workspace will not only get in your way, but also conceal that important document or SD card right when you need it most. Keeping a tidy office can have a very positive effect on the overall morale of your office. This one isn’t particularly scientific. It just feels great when everything is tidy and organized. Happy people that can take pride in their workspace produce higher quality work with less mistakes. Anytime you gather a group of people in a tight space there is an increased risk of illness. The bathroom and food areas are especially effective at gathering and spreading germs. Bathroom supplies should be replaced and cleaned regularly to keep a nasty virus from taking over your office. This one can often be ignored. Many people think that this only applies to workspaces that use heavy machinery. Unfortunately, workplace injuries can occur anywhere. Make sure you have floor mats in places that can be slippery. If you do, double check that they are clean and not worn out. Get your fire-extinguishers checked out and definitely do not allow any clutter to block your fire exits. Every workspace is different and therefore has different hazards. Co-workers should alway be looking out for each others’ safety. 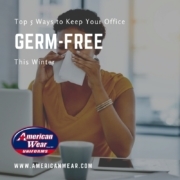 American Wear offers many supplies such as floor mats, restroom supplies, shop towels, and treated mops that can be essential to get rid of dirt, germs, and to simply brighten the office. Keep all your customers and workers happy and safe while they are in your workspace. 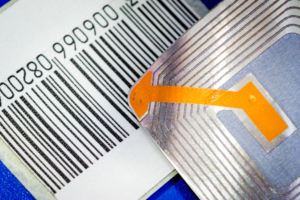 April 1, 2019What is StarTrac Garment Control™? 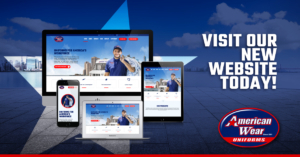 5 Ways Custom Uniforms Help Your Business Should You Update Your Employee Uniforms for The Seasons?